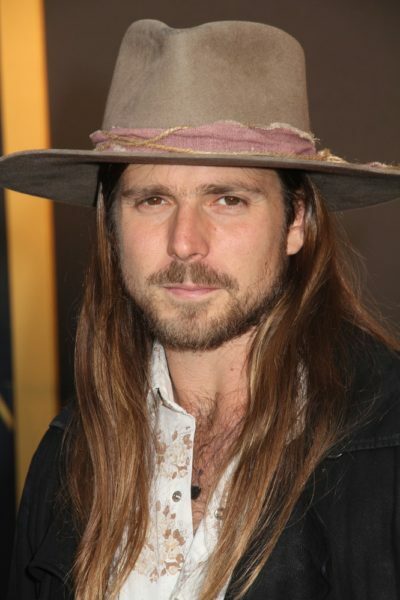 Place of Birth: Travis, Texas, U.S.
Lukas Nelson is an American musician. He is the vocalist and guitarist of the band Lukas Nelson & Promise of the Real. Lukas is the son of Annie D’Angelo and singer, songwriter, musician, guitarist, actor, poet, writer, and activist Willie Nelson. Among his siblings and half-siblings are actor and composer Micah Nelson and country singer Paula Nelson. Lukas’ paternal grandfather was Ira Doyle Nelson (the son of William Alfred Nelson and Nancy Elizabeth “Nanie” Smothers). Ira was born in Arkansas. William was born in Arkansas, the son of Franklin Claud Craig Nelson and Aprilla Ann Marshall. Nancy was born in Arkansas, the daughter of William Marion/Morris Smothers and Mary Elizabeth Rose. Lukas’ paternal grandmother was Myrle Marie Greenhaw (the daughter of William Alex/E. Greenhaw and Bertha F./L. Randle/Reynolds). Myrle was born in Arkansas. William was born in Arkansas, the son of Daniel Gabriel Greenhaw/Greenhow and Lucy Nancy Standridge. Bertha was born in Arkansas, the daughter of the daughter of James L. Randle/Reynolds and Susan Frances O’Daniel. Lukas’ maternal grandfather is Gregory Antonio D’Angelo (the son of Francesco Paolo “Frank Paul”/”Ciccio” D’Angelo and Santa/Santina Gambina). Gregory was born in New York, to Italian parents. Francesco Paolo was born in Partanna, Trapani, Sicily, and was the son of Maria Zarzana. Santa was also born in Partanna, and was the daughter of Salvatore Gambina, who was from Castelvetrano, Trapani, Sicily, and of Angela Piazza. Lukas’ maternal grandmother is Mildred Norma Altabello (the daughter of Francisco Americo/Amerigo Altabello/Altobello and Kathlyn Penny Mildred Pennington). Lukas’ grandmother Mildred was born in California. Francisco was born in Washington, to Italian parents, Fiore Altobello and Sperandine Daddario. Kathlyn was born in California, to parents from Ontario, Canada, Norman Augustus Pennington, whose parents were English; and Bertha Evelyn Ward. Lukas’ maternal grandfather is Gregory Antonio D’Angelo (the son of Francesco Paolo “Frank Paul”/ “Ciccio” D’Angelo and Santa Gambina). Gregory was born in New York. Francesco Paolo was born in Partanna, Trapani, Sicily, Italy, to Maria Zarzana. Santa was also born in Partanna, to Salvatore Gambina, who was from Castelvetrano, Trapani, Sicily, and to Angela Piazza.